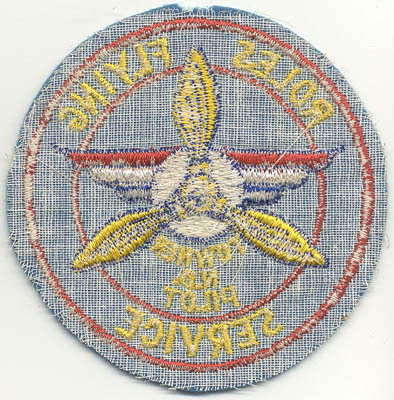 SUBJECT: This is a World War II Role Flying Service Pilot Training patch. SIZE: About 3-3/4" in diameter. CONSTRUCTION/MATERIALS: Cotton/poly/silk embroidery thread on wool felt. CONDITION: 9- (Excellent+): Very minor wear.